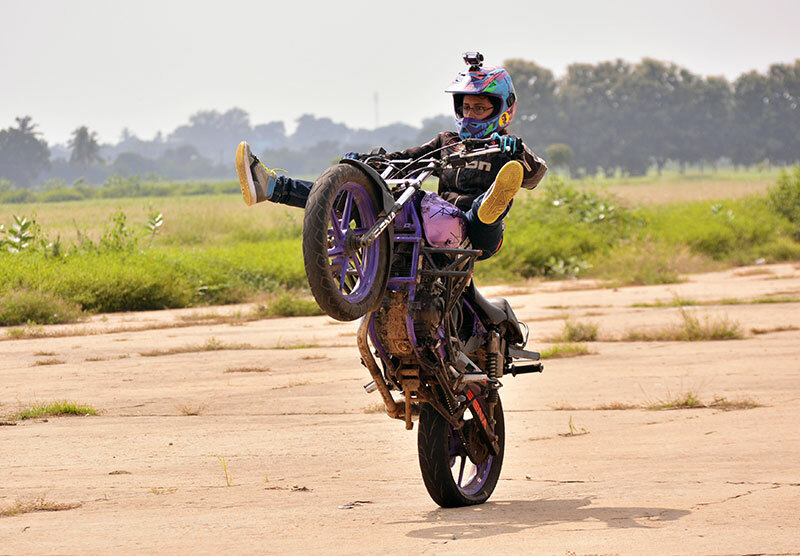 It was with childlike curiosity that she first gripped the handlebar of her father’s bike at the age of five, but Anam Hashim was resolutely riding his LML Freedom DX all by herself five years later. Although she had to employ the assistance of a higher platform to mount and alight the motorcycle, all that trouble only seemed to motivate her further. What may have started out as a way of earning bragging rights as a lady biker soon turned into a passion when Hashim was introduced to stunt biking. Today, it is a way of life for the 22-year-old swashbuckler who is famous for two reasons — being the first woman to ride to Ladakh’s Khardung La on a TVS Scooty Zest as part of the Himalayan Highs initiative by TVS Motor Company and brushing off deep bruises like it’s nothing.